Comments: Attached is the glorious Jupiter, with its four Galilean moons, from left to right: Io, Europa, Callisto, Ganymede. Usually, Jupiter shows more details, but its way past its prime viewing conditions at Sun-Earth opposition. The sketch was done by pencil, as observed at 240x, sky around the planet turned negative after scanning. Jupiter colors were adjusted using Photoshop to resemble observable Jovian palette better. 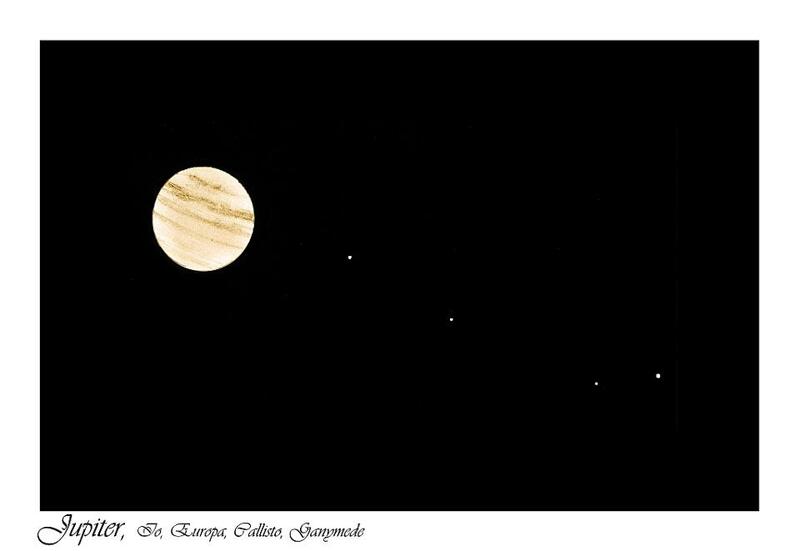 This is a fine sketch of Jupiter and its tag along moons.